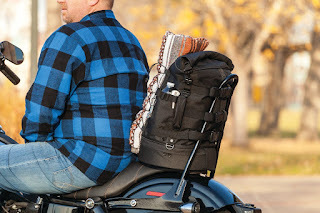 All-new luggage line delivers rugged style and versatility. SOMERSET, WIS, — Luggage can play a large role with rider comfort and convenience. Whether day tripping or cross-country touring, proper storage is vital when it comes to bringing the essentials, including pets. 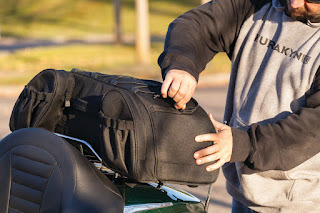 However, securing bulky bags with confusing strap systems and inconvenient cargo access can put a damper on any trip by costing riders valuable saddle time. Kuryakyn’s new Momentum luggage eases the process with a variety of options designed to keep you moving, with versatile packing capabilities, hassle-free mounting, and rugged utilitarian styling. 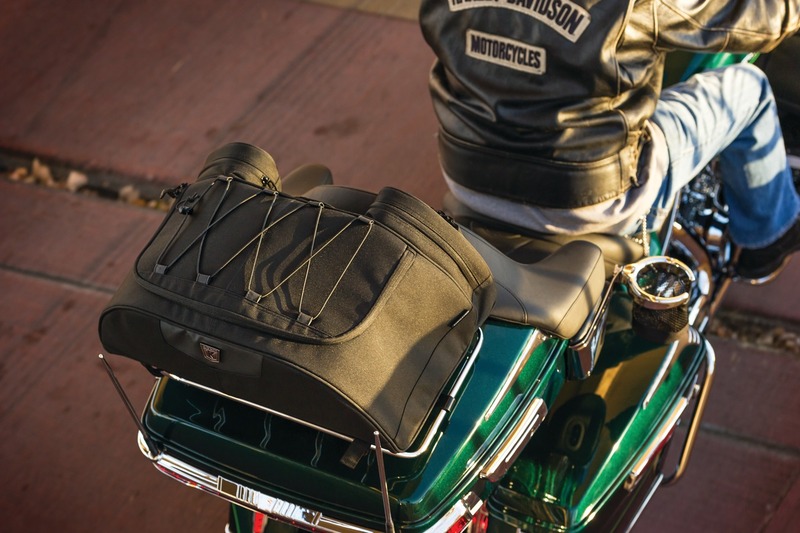 The Momentum collection builds off of Kuryakyn’s heritage established from nearly two decades of experience in the motorcycle luggage arena. Listening to consumer feedback combined with extensive product development and market research yielded a concerted focus toward increased functionality and convenience for today’s riders. The value-driven Momentum line showcases best in class styling, features, and durability. All bags are constructed from UV-rated, weather-resistant 1200 denier textile material. A variety of quick-mount designs offer convenient mounting and removal on virtually any motorcycle. Every Momentum bag includes rain covers, as well as integrated external stash pockets, MOLLE modular attachment options commonly found on tactical and recreational equipment, and low-profile carrying handles for easy portability off the bike. 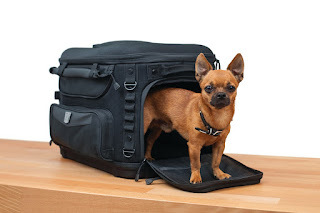 Available first in the lineup are the Freeloader Duffel Bag, Hitchhiker Trunk Rack Bag, and completely redesigned Grand Pet Palace. The Momentum Freeloader Duffel Bag gives new meaning to the phrase “stow-n-go”. A wide top-roll sealed design offers easy access to a cavernous main storage compartment. 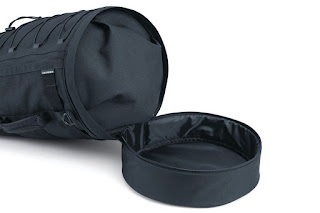 The separate bottom zippered compartment and multiple quick-stash pockets allow convenient access to the included rain cover or other necessities. 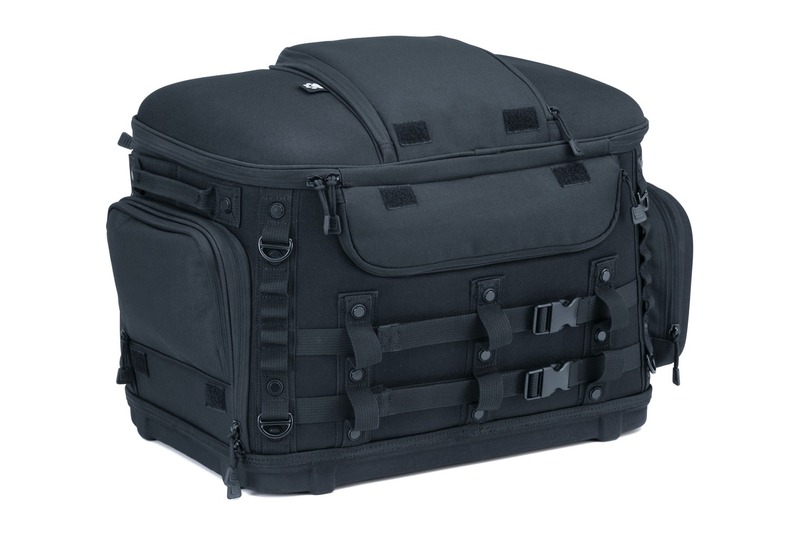 An external adjustable bungee storage system accommodates coats, bedrolls or other items, and the side-release buckle mounting system attaches to virtually any sissy bar or backrest in seconds. 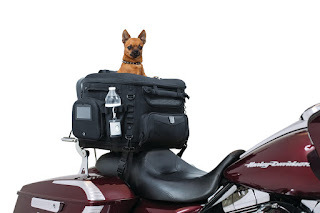 Bikes without sissy bars can utilize integrated D-Rings and the additional included strap kit for mounting to passenger seats or luggage racks. options. 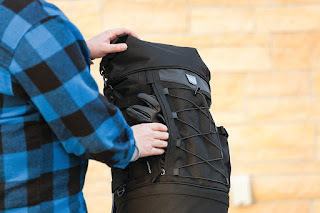 Shape retention is also a key feature, as the Hitchhiker maintains its contoured form when empty, and also conveniently stows in saddlebags or trunks when not in use. An updated version of Kuryakyn’s popular pet carrier, the new Grand Pet Palace lets riders take four-legged friends along for the ride. This home-away-from-home for pets features updated styling with 40 percent more ventilation and 20 percent more internal space. 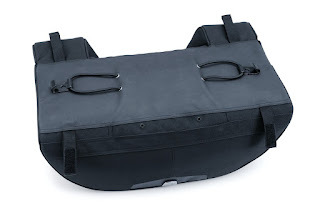 A new integrated sissy bar strap coupled with additional mounting straps and integrated D-Rings on the carrier provide several secure mounting options. An internal frame with rigid structural support provides the ultimate in protection and shape retention capabilities. 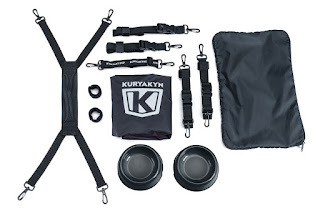 Creature comforts include an internal adjustable leash, two dishes, a stash pouch for food or treats, and a new, easy-clean removable foam cushion. 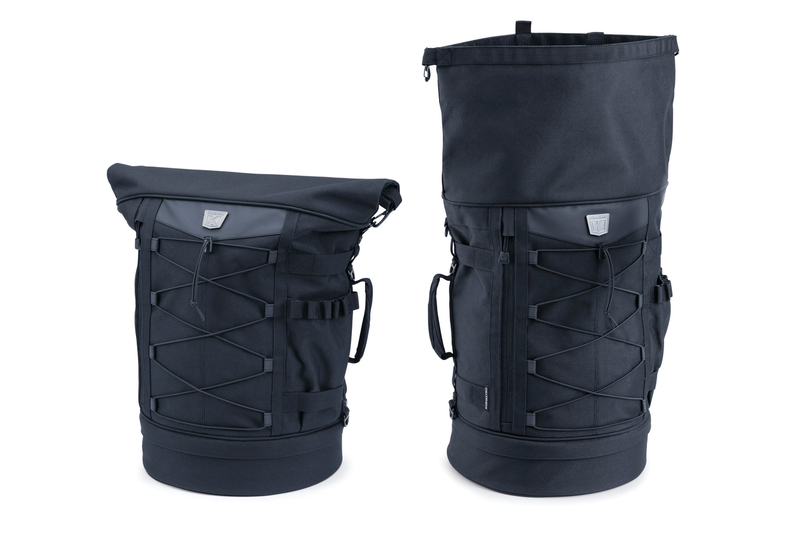 Human comfort updates include an improved bottle pocket, side-mounted handles and detachable carrying strap for easy portability off the bike. The Kuryakyn Momentum collection is set to expand with an all-new trio of bags debuting later this summer. 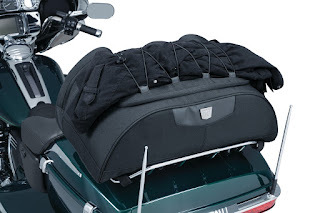 To view Kuryakyn’s complete range of luggage offerings, visit http://www.kuryakyn.com/c/luggage.